STAY AT: The Vaucouleurs Residence, The 11th Arrondissement – from €100 a night. Check out more of Fritha’s travels on her blog. “You might not the same kind of fussing over kids as in the Mediterranean but Denmark’s attitude is that smaller visitors should be just as welcome as their parents, so Copenhagen is fantastic even with toddlers and babies. There’s loads to see and do, from the Tivoli Gardens amusement park to canal cruises, the Little Mermaid, child-friendly museums, a large helping of Hans Christian Andersen and the Lego store. Even the metro has lifts down to the platforms. We stayed in an Air BnB – it was in Islands Brygge which was lovely – quite residential, very peaceful and easy to get into the centre with metro or on foot. STAY AT: An Air BnB place – check out what they have to offer here. Check out more of Cathy’s travels on her blog. STAY AT: The Red Tree House, Condesa – this popular B&B is located in one of Mexico City’s best neighbourhoods, filled with tree-lined streets and Art Deco buildings. Read more about Katja Gaskell’s adventures over on globetotting.com. Read more from Sarah and her kids Jess and Robert, aged 14 and 10 on their blog. “We have travelled over the Far East extensively but one place which has always stood out for family friendliness is Singapore. The city is a fantastic fusion of East meets West with many Asian traditions thriving in the country but without a huge culture shock for first time visitors an especially children to this part of the world. Singapore is stunning with beautiful buildings, culture, friendly people, gorgeous food and activities galore. A highlight for families is Sentosa which is a small island off Singapore’s mainland literally jam-packed with family focused activities with Ziplines (that even a 2 year old can do) to Universal studios to the Luge. Back on the mainland, our pick would be Singapore Zoo, The Night Safari, Merlion and the futuristic (and free!) Gardens by the Bay. Singapore is often overlooked as lacking some of the appeal of its neighbouring nations but for a family holiday with children of all ages, you will be spoilt for choice and have a great time. The city has a fantastic infrastructure and you can fit so much into a few days! We have stayed in both the mainland and Sentosa. STAY AT: On the mainland, the Pan Pacific or Mandarin Oriental are fantastic hotel for family travellers, located at Marina Bay. If however, you want to escape the city but still only be under 20 minutes away from the action, Sentosa has some greats hotels which have gorgeous swimming pools and slides to give the children lots of hours of fun, when you are not exploring. We have stayed at both the Sofitel Sentosa Resort and Spa and also the Shangri-la Rasa Sentosa and both are highly recommended. “Barcelona is a wonderful place to take the family there is so much to see and do and children are welcomed with open arms. STAY AT: The Novotel City Centre – it is a great location and has a pool on the roof to cool down after a day sightseeing. Read more from Sarah on her blog. 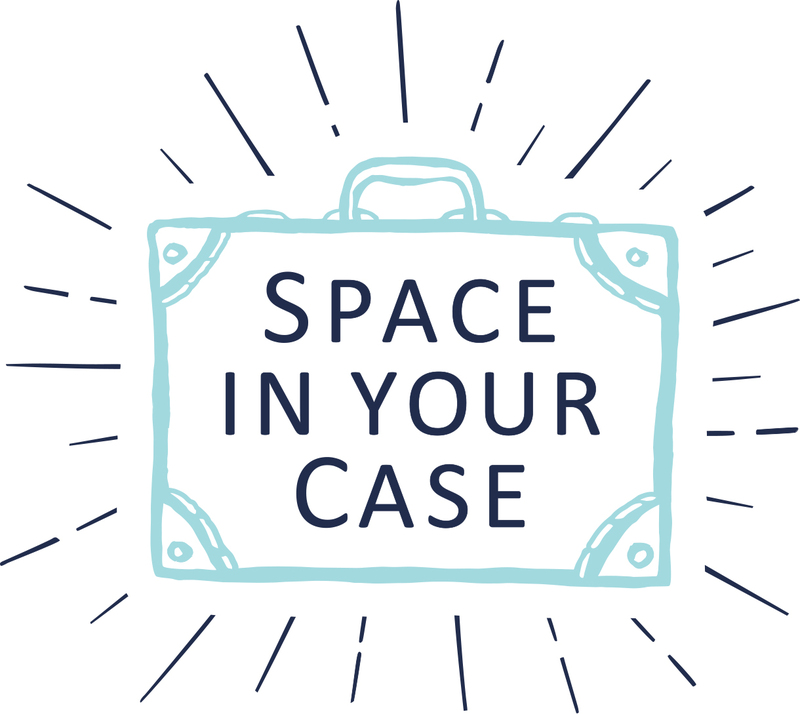 And the Space In Your Case team recommend…. Read more from Penny on Edinburgh here. Read more from Katie on Stockholm here. Read more about Helen’s weekend in London here. Which is your favourite city to visit, as a family? Great post! A little bit further away obviously, but I would add Tokyo too. It’s definitely a fabulous place to visit with children, it’s like a different planet anyway, but there’s lots of child friendly stuff to see and do! My two loved it and want to go back again soon! Fantastic ideas – thank you! We are very much looking forward to planning a Scandinavian extravaganza next year so reading the Copenhagen and Stockholm posts especially. Love this so much. It’s always been a dream of mine to go to Salzburg with my family (I was brought up on the Sound of Music and all things Julie Andrews!) My husband has promised me a trip for our 20th anniversary – so I am very excited (though I think he is less so!) These other places are obviously all on my bucket list too – but unfortunately our budget is limited so we tend to do most of our family breaks in the UK. Though admittedly it’s not as glamorous as New York, we always have a lot of fun! We like city breaks especially because there’s always so much to do that everyone can enjoy! We’re actually going to Birmingham in a couple of weeks time to go to the Sea Life Centre and Cadbury’s World etc and the kids are so excited! We’re staying in the Park Regis hotel as it’s got a great reputation for families! Has anyone been? I’m so excited to go! Has anyone got any other recommendations for what we can do while we’re there? I’ve never been to Birmingham before so this is a new experience for me! I would not pick New York.We went with a 2 year old and werent recieved well in so many places. People arnt child friendly and kinda stared at us like what we were thinking bringing a toddler. California is deffenitly a must with kids. So much to do.